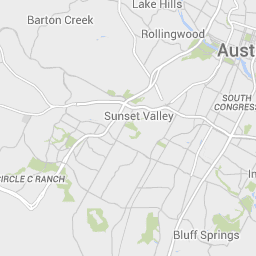 Sunset Valley is a “small town” oasis (one square mile) roughly 10 miles Southwest of downtown Austin. This small community, established in 1954, sits just East of Loop 1 (Mopac) and South of Highway 71. New shops and restaurants offer its residents convenience and close proximity to downtown. A planned growth area that has held on to its identity and principles, Sunset Valley also has many natural areas for outdoor endeavors such as hiking and horseback riding, making this the perfect community for those who prefer the quieter side of city life, and those who enjoy the natural beauty that Central Texas has in spades. One of the best breakfasts I’ve ever had in my life happened at The Sunset Valley Farmers Market on a Saturday morning. Go see for yourself. Local farmers and vendors from all over Austin emerge onto the North parking lot at The Tony Berger Center on Saturdays between 7am-1pm to make their goods available to all who show up. What I love about this particular farmer’s market is it’s sprawled out. Even when it’s packed, it never FEELS packed!